Cream Shiba Inus are among the four colors of the Shiba Inu dog breed. While cream Shiba Inus are beautiful dogs in their own right, their coat color has stirred some controversy in Shiba Inu circles. While there are some who want cream Shiba Inus to be non-faulted in the show rings - most Shiba Inu fanciers, especially those from Japan - want the cream colored coat genes to be weaned out of the gene pool. 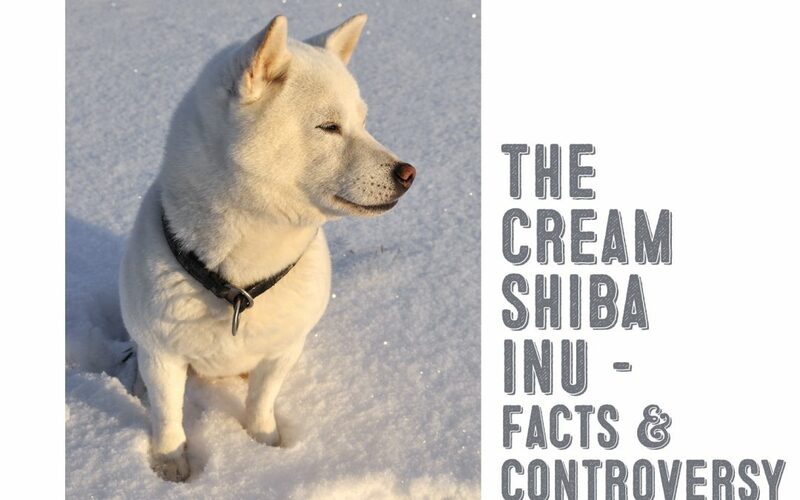 The cream Shiba Inu's coat is seen as a serious fault in the show rings. The main reason being that the urajiro markings cannot be seen on such a light colored dog as the cream. The urajiro is a distinctive feature of the Shiba Inu dog breed and consists of light colored markings on the Shiba Inu's chest, face, and tail areas. Strong, vibrant colors are another Shiba Inu characteristic that is important in regards to breed standards - especially to those from Nippo. Nippo is organization in Japan that was formed to preserve the Japanese breed standards.​ With cream Shiba Inus, this characteristic is not visible and therefore cannot be judged. Yet, despite cream Shiba Inus having a serious disadvantage in the show ring, they still are eligible to enter competitions - and win. It's a rather contestable subject that needs time and proper insight to work itself out. Just like other three colors of the Shiba Inu breed (red, black and tan, sesame), the cream Shiba Inu was produced by a selective breeding in the early 20th century. At that time, the Japanese dog breeds were on the verge of extinction. War, illness, and the introduction of western dog breeds into Japan almost completely decimated the native Japanese dog breeds. Three remaining Japanese Shiba dogs were bred together to produce the Shiba Inu dog breed that we know today. The exact science about the genetics of Shiba Inu coat colors are beyond the scope of this article. Though in a nutshell, a cream Shiba Inu is the result of having two recessive "e" genes. These recessive e genes will not allow a single black hair on a cream Shiba Inu. To learn more about the genetics of Shiba Inu coat colors in depth, go here. 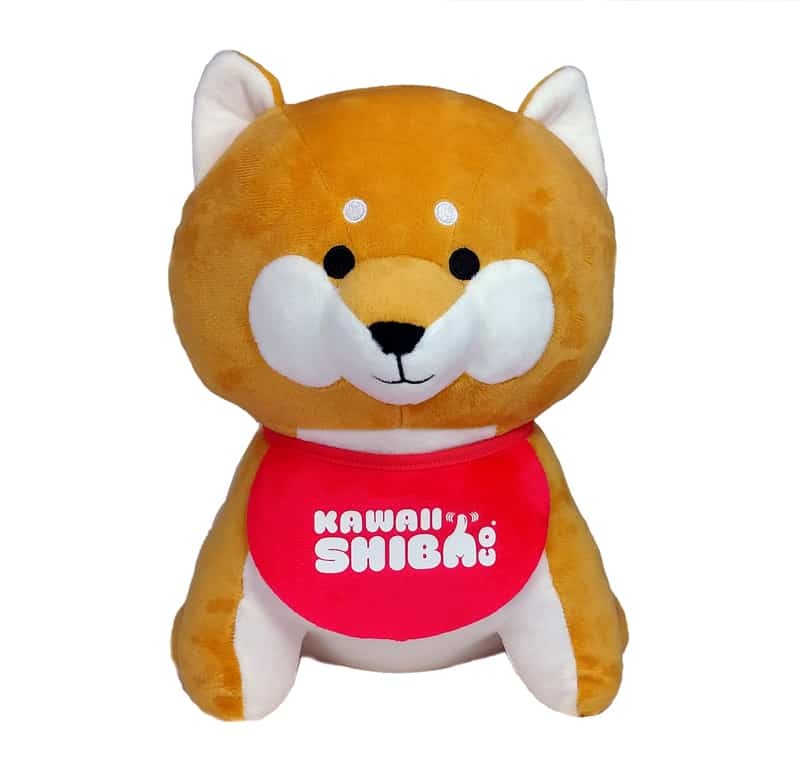 Are Cream Shiba Inus Less Healthy? No, the recessive gene that causes the cream colored coat variation does not affect the Shiba Inu's health in any way. Secondly, a cream Shiba Inu's coat is not the same as an albino coat. Technically, yes and no. ​Cream Shiba Inus are sometimes called white Shiba Inus and vice versa. However there can be technical differences between cream Shiba Inus and white Shiba Inus. This is because true cream Shiba Inus possess a white coat that has either red or grey tinges. Whereas, sometimes the term "white Shiba Inu" could refer to truly white ​Shiba Inu that does not have the exact same cream Shiba Inu's coat characteristics. This would be the case with albino, pinto, or piebald white Shiba Inus. No, and there are a variety of reasons for this. First off, the cream color is a serious fault not only in the show ring, but also as a proper representation of the Shiba Inu dog breed in general. The Japanese hold extremely high standards for their national dog. 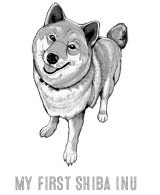 And it is the responsibility of Shiba Inu breeders around the world to uphold these standards. Here again is another highly debated issue regarding cream Shiba Inus. While a few Shiba fanciers feel that breeding cream Shiba Inus will not harm the other coat colors - most feel that it will. Especially those from Nippo. The whole purpose or "mantra" of Nippo is to preserve the Japanese dog breeds by all means possible. Of special concern to those at Nippo is coat color intensity and urajiro. It is of great importance for Shiba Inus to have strong coat colors of the right hue. Those at Nippo look out for dilution of coat color because any weakening of the coat color will signal a weakening of the coat color genetic code. This observation is not possible on cream colored Shiba Inus. Over time, breeding's between white Kishus and other white Kishus became more frequent producing more white Kishu puppies. ​It just took a little more time until the white Kishu became the predominant coat color as the other coat colors became bred out of the breed. Could this extreme dilution of color happen to the Shiba Inu? Possibly, but we at My First Shiba Inu are not genetic scientists and choose to simply present the best information available on the subject from the best sources. ​Read more about this subject here.